Fish isn’t just for dinner anymore. Our roomy fish cave is a fantastic space for your cat to stretch out and lounge the day away. Caves provide a safe, warm haven and can help your pet feel secure. Approximately 22″ long, 14″ wide and 10″ high, this is a great cave for pets up to 16 lbs, or a couple of little ones who like to snuggle up together. 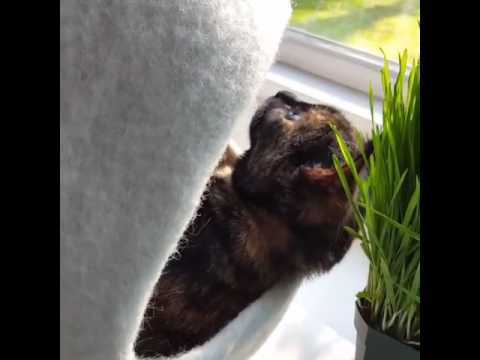 The video shows our Momo, 8 lbs, lollygagging in her favorite cave. There’s ample room for her to snuggle together with her sister, Shimi, also 8 lbs.